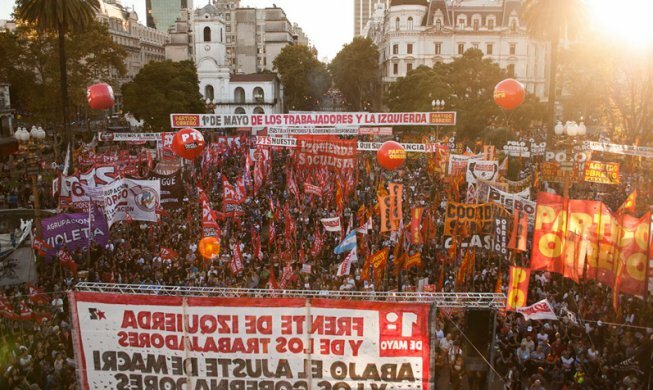 The Partido Obrero of Argentina (Workers’ Party) recently published an astonishing article in its newspaper Prensa Obrera (Workers’ Press).This article has revived a long-standing debate about the piquetero movement, a debate with its own history, and one that requires another look at the proposals put forward by the PTS for uniting employed and unemployed workers. Prensa Obrera has published an astonishing article under the by-line of Alejandro Lipco. The author declares that the assessment made of the May 1 rally by the Partido de los Trabajadores Socialistas (PTS – Socialist Workers Party) includes “an attack on the Party and the Polo Obrero”. The “Party” referred to is the Partido Obrero (PO) of Jorge Altamira and the Polo Obrero (Workers’ Pole) is the unemployed workers’ / piquetero organization of the PO. The author draws his incredible conclusion from the following sentence: “the PO contingent was mainly composed of compañeros and compañeras from the Polo Obrero, while that of the PTS was, in comparative terms, the most important specifically party force at the rally”. 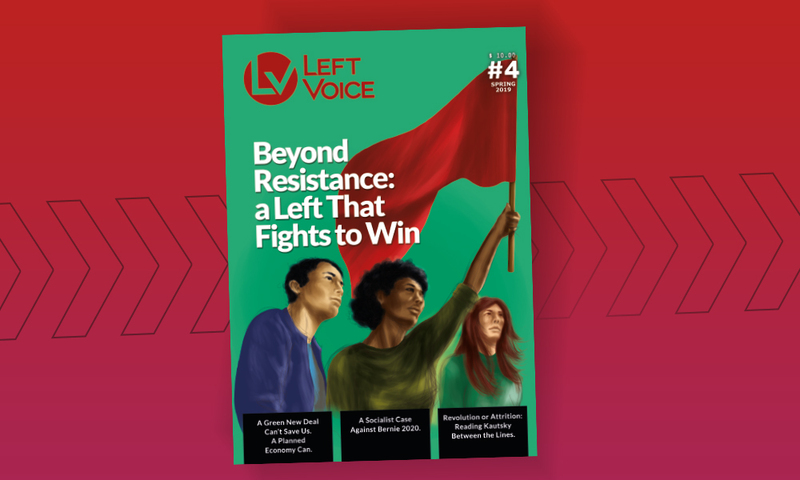 According to our annoyed author, these words “deny the ability of workers – and especially trabajadoras (women workers), the most exploited in the country – to adopt political, class and revolutionary consciousness”. Such a statement can only be motivated by our previous pointing out of the difference between the compañeros and compañeras organized in the Polo Obrero, who since late last year have made up the bulk of the Partido Obrero’s contingents; and those mobilized as Partido Obrero party members, who are becoming fewer and fewer each time. Regardless of his annoyance, it turns out that this distinction … is exactly the same one made by the author in the first sentence of his article (where he differentiates between “the Party and the Polo Obrero”). This obvious state of affairs is not intended to offend any organization within the piquetero movement, a movement which is clearly different from any political party organization. Nevertheless it seems to have generated indignation within the PO. Underneath this indignation there does indeed lie an in-depth discussion, one that “has its own history” (which is about the only factual statement contained in the whole article). Let us now get to the heart of the matter. 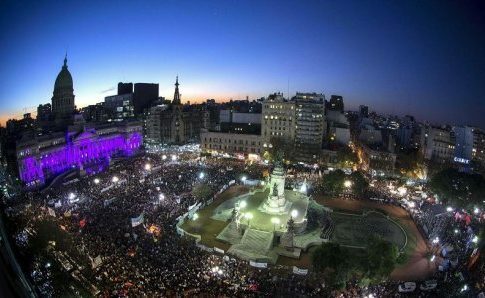 On May 1- the day that our polemicist takes as his point of departure – the Frente de Izquierda (Left Front) held a working class, socialist and internationalist rally in the Plaza de Mayo in central Buenos Aires. Ten speakers spoke on the day. Three of them specifically pointed to the need for unity within the ranks of the working class. Who were they? Carlos Artacho, FOETRA (Telecommunications union) General Secretary candidate for the united opposition list and a PTS leader said “we want to reclaim the trade unions, to make them instruments of struggle for the whole working class. (…) in order to unite the ranks of workers in each union and for unity with other workers, employed and unemployed”. His words raised genuine applause from all corners of the Plaza. Lorena Gentile, a militant at the Mondelez (ex-Kraft) food production plant in northern Buenos Aires also spoke. At the core of her speech was the situation faced by the most exploited sectors of the working class – “especially trabajadoras (women workers)”. She stirringly put forward the only genuine solution to unemployment and super-exploitation: a reduction in working hours in order to create jobs for all. The same idea was earlier raised by Nicolás del Caño, when he pointed out that “science and technology allows us to work fewer hours, therefore we propose to reduce the working day to six hours, five days a week, to redistribute hours of work between the employed and the unemployed”. Besides a passing mention by Néstor Pitrola at the start of his speech, on the day it was only PTS speakers that put forward a program that unites the employed and unemployed in a way that makes the capitalists pay for the crisis. According to the Prensa Obrera article, “the petesiano (PTS) disdain for the piquetero movement in general, and for the brave compañeras and compañeros of the Polo Obrero in particular, is long-standing”. 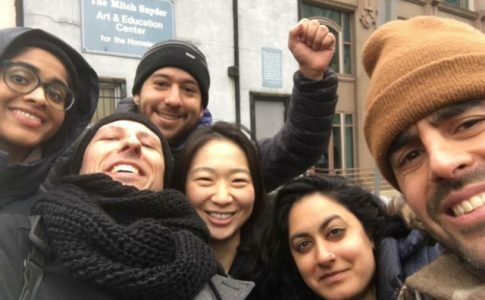 Their specific accusation is that the “PTS abstained” in the year 2000 from organizing among unemployed workers and “characterized them as being separate from the “employed working class”. The “piquetero movement” was born amidst the uprisings of the mid-1990s, led by unemployed workers, in places such as Cutral-Co, Plaza Huincul, Mosconi and other cities struck by the crisis. Strong resistance to Carlos Menem and later the Radical Civic Union (UCR) / FREPASO alliance emerged behind the slogan of “trabajo para todos” (work for all). With the development of the crisis, the bourgeois regime came up with a plan to curb both poverty and the fighting movements which had emerged. Social programs were expanded in an effort to divert the fight for “work for all” with an enticement based on these programs. This contributed to the development of a piquetero bureaucracy, while the most combative sectors of the movement were targeted and isolated. It was during this second stage that the unemployed movements became huge, but they developed more as adjuncts of the various political forces that administered these social programs. The first test for those movements was the revolutionary days of December 19 and 20, 2001. At this time the Asamblea Nacional Piquetera (ANP – National Piquetero Assembly) was led by an alliance of the Maoist Corriente Clasista y Combativa (CCC – Class Struggle Combative Current) and the Federación de Tierra, Vivienda y Hábitat (FTV – Federation of Land and Housing, allied to the Central de Trabajadores de la Argentina (CTA) union federation). While the working-class were essentially demobilized by the trade union bureaucracy, the organizations that led the Asamblea Nacional Piquetera simply ruled out having any approach toward employed workers, and then refused to move to the Plaza de Mayo when thousands of young militants were fighting the forces of repression. On December 20 the compañeros and compañeras of the Partido Obrero – which had months earlier suggested that the ANP itself “raised the question of power” – were fighting alongside the PTS in the Avenida Diagonal Norte in central Buenos Aires. The ANP on the other hand never showed up. Months later, on June 26, 2002, Duhalde and the police force of Buenos Aires unleashed a brutal shoot-out against the piquetero organizations and the left. Maximiliano Kosteki and Darío Santillán from the Movimiento de Trabajadores Desempleados (MTD – Unemployed Workers’ Movement) were killed. The PTS participated that day in the corte (“cut” – roadblock) of the Pueyrredón Bridge and other actions, PTS militants were among the compañeras and compañeros detained by the Buenos Aires police force on June 26, and they participated in countless other days of action organized by these movements. At this time the PO was playing a leading role in the Bloque Piquetero Nacional (BPN – National Piquetero Bloc) alongside the Movimiento Territorial de Liberación (MTL – Movement for Land and Liberation) of the Communist Party and the Movimiento Independiente de Jubilados y Desocupados (MIJD – Independent Movement of the Retired and Unemployed) of Raúl Castells. At a rally in August 2002, Jorge Altamira put forward the idea that under BPN leadership the piquetero movement had become “an historic guide for the working class of the whole world (…), a socialist alternative to capitalist barbarism” (Prensa Obrera No. 766). Condemnation of the massacre at the Pueyrredón Bridge and the crisis that followed led to the resignation of Duhalde. His successor Néstor Kirchner then focused on co-opting the social movements (including the piqueteros) and isolating the left-wing sections of this movement. Soon after, the Communist Party closed ranks with Kirchnerism and MIJD leader Raúl Castells began his partnership with various sectors of Peronism. While it rejected unity with other Trotskyist currents, the PO assured itself that, with its agreements with reformist currents and those that had fallen for the regime’s clientelism, it was forging a revolutionary leadership. The PO called this “a struggle of simply extraordinary tendencies”. At least our polemicist is right about one thing. 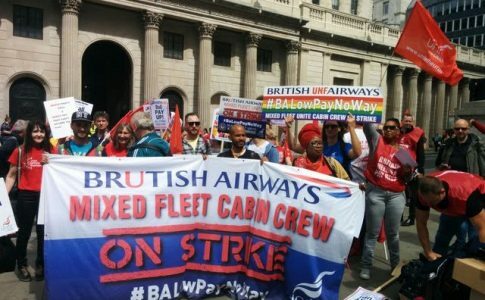 There is indeed a debate between two very different orientations about how to unite the ranks of the working class and move towards the construction of a revolutionary workers’ party. For one thing, the Partido Obrero and other left-wing organizations underestimated the strategic importance of the employed workers’ movement and what its absence actually meant, and then made an absolute of the role played by the “piquetero movement”. For the PO, this went to the extreme of dedicating the front page of Prensa Obrero to “Nito Artaza piquetero!” (Artaza is a comedian who led the “corralito”, the middle class revolt against the 2001 ban on withdrawing money from bank accounts, and later ran as candidate for the UCR). 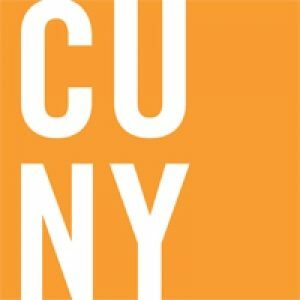 These organizations never placed the struggle for “genuine work” or unity between employed and unemployed workers at the center of their strategy and everyday practice. These left organizations instead opted to organize their own affiliated groups and party fronts (“colaterales”) which then gained control of some social program funding. In many cases they adopted clientelist practices such as marking off the names of those attending demonstrations. These actions have always been criticized by others on the left. So the movement of the unemployed ended up being regimented according to political affiliation. These practices and policies allowed Kirchnerism to more easily promote its reactionary policy of co-opting those who would become “pro-government piqueteros”, while isolating those who did not accept subordination to the government and forcing them into retreat. For years the PTS has proposed the setting up of a single movement of the militant organizations within the unemployed workers’ movement. Such a movement should be totally independent of the state, allow for a plurality of tendencies and recallable leaders, and raise the need for unity with employed workers in the fight for genuine work. On the “heritage of the socialist movement”: the real experience of the Bolsheviks. In order to defend their method, the article makes a definitive statement which has no foundation in fact. “The refusal to go into the innermost slums of Argentina to organize the unemployed for their demands against the state is a crime ‘against revolution’, this is in no way a new invention, for the revolutionary organization of the unemployed is the heritage of the socialist movement”. As for examples to back up this statement, none are offered. 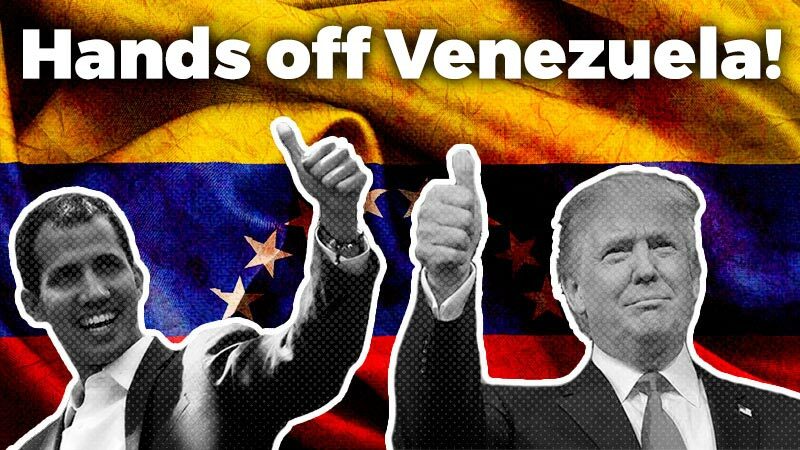 It turns out that this very same Partido Obrero translated an extensive article some years ago written by Bolshevik leader Nikolai Preobrazhensky, an article which was first translated into English and then published by Solidarity, a socialist group in the United States. In this article, Preobrazhensky recounts the extraordinary experience of the Soviet of the Unemployed during the Russian Revolution of 1905. He recalls how the unemployed organized themselves and elected their own delegates by district in a process which involved the various tendencies of the workers’ movement: “For example, on Mondays at Galernyi ostrov, fighting-unit circles met; on Tuesdays, the various parties held their meetings; and on Wednesdays, all the parties met together, each one presenting its own speaker.” “The Soviet of the Unemployed in 1906 and 1907 was the only active citywide, non-party workers’ organization.” The horror! “Non-party” workers’ organization! What “contempt for the piquetero movement in general” these Bolsheviks had! The above account cites articles from that time that explain how the backbone of their struggle was the demand for “public works” in which workers were paid a salary and worked an eight-hour day, but when “the start of the works was delayed and their situation became increasingly hopeless, they began to realize that they were in no condition to refuse the city’s help, which was thus transformed from an advance on wages into unconcealed charity. Later, as the noose of hunger pulled tighter, the sense of insult from the city’s handout was replaced with a different feeling, a combination of irritation and hatred from those in command of the city’s finances.” They persisted in their struggle for public works which was eventually won, but problems then arose with the administration of funds and it was once again the Soviet that discussed how to control these funds, how to remove the corrupt etc. What does this “heritage of the socialist movement” have to do with the organization of affiliated groups and party fronts (“colaterales”) by so-called revolutionary parties? It should be evident that what most closely approximates the self-organization of the unemployed for their demands and the winning of “genuine work” for themselves is the policy raised by the PTS for a “movimiento único” (single movement), that is, a movement that is independent of the state and governments and one which exercises the freedom of tendencies. Unfortunately, this policy was rejected by the majority of piquetero organizations. It is just this kind of policy that we have promoted in a concrete fashion in every location where we have influence. In the province of Neuquén, alongside the Sindicato de Obreros y Empleados Ceramistas de Neuquén (SOECN – Ceramic Workers’ Union of Neuquén), we formed the Coordinadora (Coordinating Committee) of Alto Valle which included the Movimiento de Trabajadores Desocupados (MTD – Unemployed Workers’ Movement) of Neuquén, public sector workers, teachers and others. In addition, a milestone was set by the workers’ self-management at Zanon, one that will forever be a part of the history of the world’s working class: the first new jobs created at Zanon were given to members of the unemployed workers’ movements in the region, including members of the MTD and the Polo Obrero. From Zanon and the occupied Brukman textile factory we also promoted the Encuentros de Fábricas Ocupadas (Meetings of Occupied Factories) in not only the “workers without a boss” participed, but other combative sectors of the union movement and unemployed workers’ movement as well. The PO systematically refused to participate in both the Coordinadora in Neuquén and these Encuentros de Fábricas Ocupadas. The PTS rejected the idea of organizing its own affiliated group / party front (“colateral”) through which to administer social programs, but it never stepped away from the fight. In the face of the strategic dilemmas that confronted the left, we chose a different option. With the forces that we had, we committed ourselves to the working-class phenomenon that was the most radical, that of the occupied factories, where we tried to converge with and influence other sectors of workers and young people, both employed and unemployed, in “a struggle of simply extraordinary tendencies”. Years later, this option allowed us to play an important role within various left-wing sectors that has come to be known as “sindicalismo de base” (rank and file / grassroots unionism). The PO let this phenomenon pass it by. It is also worth recalling that, far from any unfounded accusation that we somehow deny that the piquetero movement has “the ability of workers to adopt political, class and revolutionary consciousness”, in 2002 the PTS distributed on a massive scale its “Proposal of the PTS to all organizations, leaders and worker activists, piqueteros, members of the neighborhood and people’s assemblies, and students, who are fighting for the workers’ and socialist revolution, and in particular the Partido Obrero (PO) and the Movimiento al Socialismo (MAS – Movement for Socialism): Let’s organize a great Congress for the founding of a United Revolutionary Workers’ Party” a Spanish-language version can be found here. But PO laughed off this proposal. After all, it was building “an historic guide for the working class of the whole world” … with the Communist Party and Raúl Castells. Our critic assures us that the PTS cannot tolerate the fact that “the Polo Obrero is leading the way and heading up struggles whose actions are felt across the country, struggles for genuine work, for the redistribution of working hours and against austerity”. Comrades, you know that this is not the reality of the piquetero movement at the moment. It is true that demonstrations over the last few months have targeted Carolina Stanley and her Ministry for Social Development with the just demand for fair access to the “Argentina Trabaja” (Working Argentina) Program and other government schemes. The brutal austerity applied by both the national Macri government and local governors does indeed raise the need for the most exploited compañeros and compañeras to start mobilizing around various demands and palliative measures. But this cannot hide the reality of the struggles led by the working class today. If such a campaign for genuine work and public works that the comrades refer to were to be carried out, it would be an important step forward. We are told in another paragraph that “the reduction of the working class to “those-who-stand-in-front-of-a-machine-and-belong-to-a-union” is unbecoming for Marxism”. We can only agree. We have already explained the position and practice of the PTS in relation to the unity of the ranks of the working class. But is there any other campaign that most clearly raises a program for uniting “those-who-stand-in-front-of-a-machine” and the “reserve army of labor” than our proposal for the reduction of the working day and the redistribution of working hours? Despite all their harsh words, the comrades of the PO have committed exactly the same sin that they accuse us of. Two examples. Some months ago, Prensa Obrera reported on the holding of the “impressive conference of the Coordinadora Sindical Clasista” (CSC – Class Struggle Union Coordinating Committee, the Partido Obrero’s trade union current). In this extensive article, the piquetero movement, unemployed workers and the Polo Obrero barely rate a mention. (The same can be said of Néstor Pitrola’s closing speech at the May Day rally. Not one single mention.) The article on the CSC notes that the lead committee at the conference “is made up of thirty outstanding worker leaders and General Secretaries”, and names only one young compañero as a Polo Obrero representative. It would appear that the piquetero movement is all but rejected within “the establishment of a new working class leadership”. This can be confirmed in Prensa Obrera 1418. Another example. The compañeros and compañeras of Polo Obrero have been, without a doubt, an essential part of the encampment and mobilizations during the fight of the workers at the AGR printing plant (printers of the daily Clarín newspaper). The PTS knows this because it was also there at each of the mobilizations and for every day of the over eighty days that the plant was occupied. During those months the compañeros and compañeras of the Polo Obrero held various mobilizations for their demands. However, at these demonstrations the groups of the Corriente Sindical Clasista did not make any effort to mobilize or even to send a delegation. Comrades, this is not the way to build “unity between the employed and the unemployed” or to advance the fight for genuine work. Perhaps it was just for this reason that, at the meeting called by the group representing militant unionism and the left at the CGT demonstration on March 7, the PTS proposed the slogan “Permanent jobs for all contracted and outsourced workers. For genuine work. For permanent jobs on the appropriate collective agreement”. Let’s fight for the political consciousness of millions against the political parties of the bosses. This was the title of the Fredy Lizarrague article that Prensa Obrera used to launch this debate. While a discussion around the actual tasks posed by this article would have been much more fruitful, nevertheless some matters have now been clarified. A more fruitful discussion could have been had around, for example, how to confront austerity, or how to reclaim our unions, or perhaps the call for a major campaign of political agitation that fights for the political consciousness of millions – “agitation that again takes up the anti-capitalist proposals raised in the Plaza de Mayo”. A fundamental idea in this battle is the proposal that we are already taking to the factories, the neighborhoods, the schools and places of study: “Our lives are worth more than their profits”. A campaign that, as Del Caño referred to in the Plaza de Mayo on May 1, proposes “a reduction in working hours to six hours a day, five days a week, thus redistributing hours of work between the employed and the unemployed, with no loss in wages and with no one earning less than what it costs to feed a family”. This is one slogan that is handed down from the “heritage of the socialist movement”. For as Nico said, “if this demand is taken up by the working class, we would move much closer to the revolutionary struggle against the power of the capitalists, and for that reason, it is part of our transitional program that has a workers’ government at its core”. We are convinced that, far from the contempt with which it is described in Prensa Obrera, our proposal not only aims to unite the employed with the unemployed, but also to raise the aspirations of the working class and to convince it of the need to organize itself against this system of exploitation.